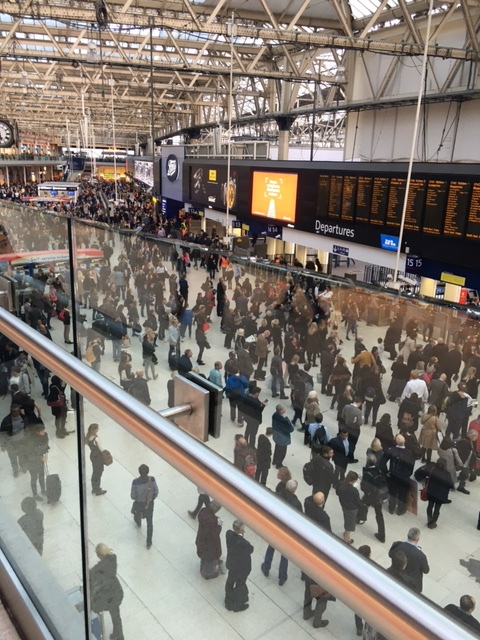 Travelling to London soon? Not to worry there is plenty to do here, both on and off the beaten track, and not all of it will cost you an arm and a leg. But do count your pennies before leaving home – you will likely need them. Though an expensive city by anyone’s measures, London has plenty on offer that is gratis, too, as well as lots to do somewhere in between. Having lived here some eighteen years, I can vouch for that and often do when offering visitors advice on what’s hot and well, what’s not. But recently when asked to make some suggestions for someone who will be celebrating her 50th birthday here in November, I decided to give it some real thought from the eyes of a local, if you will. How would I describe My London, the bits that bring a good visitors guide to life? Don’t leave home without one, a visitor’s guide that is, which is the first suggestion I can offer. Though I don’t have a favourite, I would suggest one that suits your lifestyle and budget for food, for example. There’s nothing worse than showing up to an alleged fine restaurant, which is teaming with youthful folks happily sharing a small table and loud noise. Okay, there are a few things worse but the point is use a guide that suits you. The second bit of info I’ll share is to use your human resources, if you have any. Not everyone knows me, thankfully, but most people know someone who knows someone. 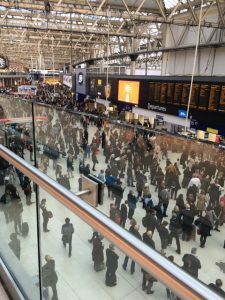 Locals often have inside information, even about the big attractions, how to avoid the crowds and so on, which leads to the next need to know bit of information – avoid train stations/the tube during rush hour. Sure, it is the fastest mode of transport in London but can be the most uncomfortable when everyone is trying to get home after a gruelling day at work, which is why I often suggest a river bus instead, if it will get you where you need to go. And if it doesn’t, take a river boat tour at your leisure; it’s a wonderful way to see the city. In other modes of transport, when walking is not in order, there are always the London black cabs, zipping in and out of traffic and these days, plenty of Uber taxis waiting in the wings. And of course, the London bus is always one stop away along your route. Also, check out the hop on and off tours, a good way to get around and learn a bit, too. Now with the general info sorted, where does one start? Knightsbridge, if you ask me. While some think the glamorous shopping haven is either overrated or so yesterday, I still love it today. With both Harvey Nichols and Harrods at the centre and Sloane Street running through it, there is something for everyone, if only window shopping. In addition, there are plenty of high street shops. But if it is all a bit too much for your pocketbook; plan a trip to Hackney Walk, the trendy outlet centre in Hackney, which is a bit off the beaten path but worth the trek. Other shopping areas include Fulham Road and general area in South Kensington. One of my favourite shops is Carven. Also, there is the busy Oxford Street, too busy for me, but occasionally I head over to Selfridges and then to Liberty on Regent’s Street for a quieter, gentler shopping experience. Shopped out and just need some culture. My BFF’s favourite museum, the Victoria & Albert, is just down the road from the Knightsbridge shops. Not only is it grand to look at outside, it is fascinating inside with over 2.3 million objects that span over 5,000 years of human creativity. For more culture, head to my favourite art gallery, The Royal Academy. Tucked away in a quiet corner in Piccadilly, it’s just beautiful. Other galleries scattered about town include the Tate, and the Tate Modern. And recently, I went to the Newport Street Gallery, with works drawn from Damien Hirst’s art collection. A little off the beaten path, but it is all the rage. Back to the centre, however, for a bit of English tradition take a tour of the Royal Mews at Buckingham Palace. Lucky me, I tagged along with my husband for a private tour recently. For food on the go, the museums and galleries have cafes and restaurants and in Knightsbridge, check out the trendy 5th floor at Harvey Nichols. From sushi to burgers and lobster, it is all there but if you are looking for something a bit more upscale, try Bar Boulud at the Mandarin, but you might want to book ahead of time to secure a space. Fine restaurants for an evening out – lots of choice there! Recently, I went to Kai in Mayfair and had a wonderful time. A bit off the beaten path is Chez Bruce in Wandsworth, another all time favourite. Both to be booked well in advance. Just want to hang out – now we are talking gratis. From strolling along Piccadilly to sitting around Trafalgar Square, hanging out in London is amazing. These days, I am surprised at how often visitors miss the the South Bank, a buzzy area that always excites. Just across the Embankment. Easy peasy! And there is, of course, Covent Garden. With piazza after piazza and street artists on every corner, you will never bore there, which leads to where to end the evening. Dinner is always in order and theatre in the West End is highly recommended for anyone, but certainly for a special celebration. On that note, I thought I would make a recommendation and could not believe that I have hardly seen anything lately that is still on, except for some of the long running musicals, for example. What does this mean? Time to catch a play. Hint! Last but not least, check out the plethora of churches, chapels and cathedrals from Westminster Abbey to St. Paul’s. And if you want to go to a service, Holy Trinity Brompton, where I attend, welcomes everyone. That about covers it, right! It doesn’t even scratch the surface, but it’s a start. The key to enjoying London is to plan strategically and then pace yourself. But throughout it all, you can’t miss the most fascinating bit, if you ask me–its views, not only from the likes of the Shard, the London Eye, but from the boats, the buses, the bridges, the ground. See this great city for what it is, wherever you tour. That’s really all you need for a good time in London.